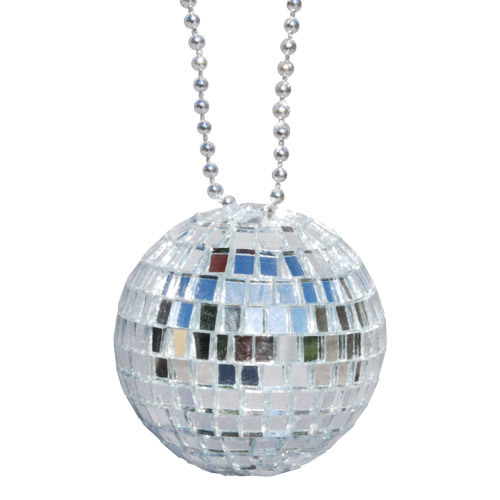 Let your dazzle show by wearing this mirror disco ball necklace on chain at a disco party or at Disco themed dance. Why do not use the Disco ball Necklace as a decorative accessory for your room or your table? It has a silver plated plastic chain measuring 28 inches. The disco ball measures 2 inches diameter. This festive accessory is not recommended for children under the age of 5 years old.